Item # 153059 THE FRIEND, Philadelphia, Pennsylvania, 1828. 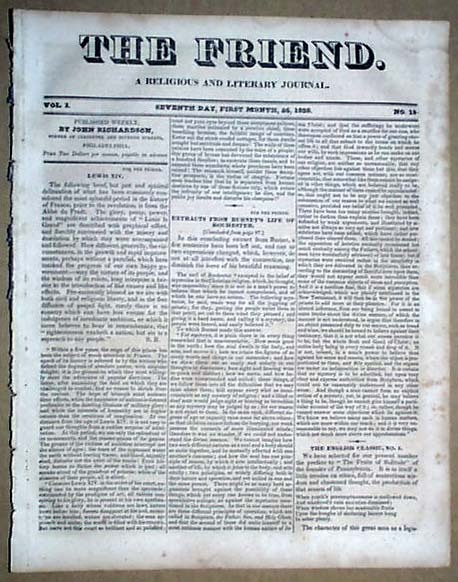 A small-size Quaker newspaper subtitled: "A Religious and Literary Journal" which pretty much describes its contents. Note that the photo is "generic" and the issue you get will not have this specific date but will have the format as shown. Measures approximately 11x 9 inches and containing 8 pages.